Beacon-based proximity marketing is redefining the way shops and retail establishments interact with their walk-ins. Thanks to beacon technology, they can now find a place in customers’ smartphones inside an app. Marketers can run more personalized, effective promotional campaigns and can set a wider array of parameters to trigger them. Store managers can spend less time in assisting shoppers on the aisle and more time making the operation more efficient while shop owners and stakeholder will rejoice over the fresh stream of revenue and rise in buyer numbers. Proximity marketing powered by beacon networks and mobile apps is gaining a lot of traction among tech-savvy millennials. A beacon in proximity can send contextually relevant beacon notification on the customer’s screen, which he can interact with to unlock offers, grab discounts or get a suggestion. Since the notifications are contextually relevant, they carry a great click-thru and conversion rate than any other medium of advertisement like email and SMS. While GPS is a great positioning system, it stops working as soon as you’re under a roof or in an enclosed space. For giant retail spaces like shopping malls, it is easy for shoppers to get lost while searching for a store. Beacons are smart BLE devices, which connect to user apps over Bluetooth and show them turn-by-turn direction to the store they are interested in. Since marketers can gather so much more data about their customer preferences by means of the apps, they can run even more targeted ad campaigns that will benefit both the merchants and customers in long term. By segregating branches of their ad campaigns to meet diverse groups of audience at a personal level, they can run effective product launches, promote season discounts, distribute special vouchers, etc. directly on user smartphones via the app and, thus, can attain a higher retention and conversion rate. For local retailers, retaining customers is a conscious effort as the effect of their goods deed fades away as soon as a customer leaves the shop premises. A mobile app can leave a lasting effect on the customer’s next purchase decision. The shop promoters can keep the retail store in a customer’s recent memories even after he left the store provided the customer has the app installed on his phone. They can send him push notifications with the exclusive promotions and offers to make him restless to visit the store again. Today’s warehouses are large enough. They are hard to manage. Managing them takes a lot of personnel, equipment and software installations. A warehouse management system (WMS) relies too much on its human operated endpoints to gather data and run analysis. To cut reliance on human resources, warehouse management systems, more and more, include compatibility with non-human endpoints like a network of BLE beacons inside warehouses, which can identify and locate an item the human collector looking for. The app installed on the collector’s work phone can navigate him to the item he wants to collect. Larger events are hard to manage and require a lot of human efforts. A major problem event goers face with big events is there are so many programs going on at different locations in the venue at the same time. This problem makes way for complicated agendas for the participants, which may create confusion. An event app may solve the problem by feeding the info. However, event programs are subject to changes in terms of both timing and location. The program that was supposed to be on 3rd floor may shift to first floor at the last moment but will still show at the original time on the app. If the app is interfaced to a beacon device, it will update the information in the real time and, also, give direction to the participants in case of a change. Customers do not like to wait in queues at the cashier and would love the opportunity to make the payment from the app itself. A beacon placed at the cashier table can send a payment link to the customer’s smartphone. The customer can pay for his purchase by clicking on the link the way he pays on Amazon or any other ecommerce website. This will save both customer’s and cashier’s time. If there is one thing traditional retailers are short of is data about their customers. They have a hard time telling a new customer from a returning one, which makes running advertisement campaigns a big bet. Beacons can fill this gap between the retailers and their customers. The application will give the basic detail about each customer while beacons will identify him or her and give a glimpse of their buying pattern. Once the information is established, an integrated analytics software can give vital information and intelligence about their customers such as when was the last time they visited, their average purchase amount, their favorite items, their mode of payment, etc. Beacon technology has revolutionized retail sector and giving traditional retailers a platform to save their customers from online onslaught. For the first time, traditional retailers have the access to the same level of sophisticated marketing tools as do online retailers have. Beacon technology not only makes the life of store promoters easier but also the customers, who now enjoy more personalized offers than ever before and, of course, they need to spend less time at the cashier. For store-owners and stakeholders, beacons bring fresh stream of revenue and better return on investment into marketing. Lastly, beacons are low power devices and have a lower acquisition cost to other in-store marketing equipment. 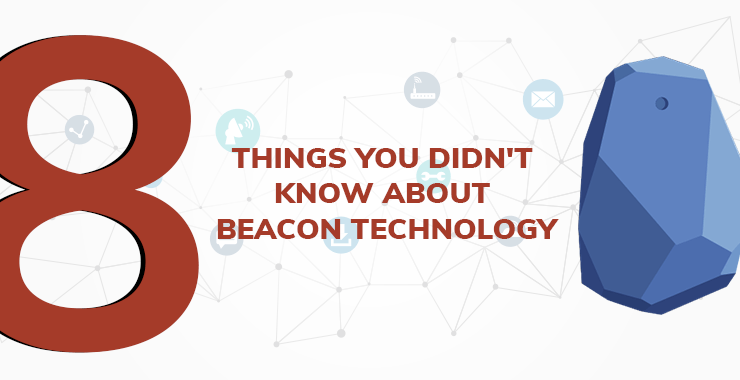 They are easy to install and with so many tools available, developing beacon apps is simpler and less costly than ever.